There is a natural antihistamine decongestant that can be found right in your cupboard and on your tap or water faucet. It is water and or salt. The best salt is unprocessed sea salt. In a pinch, any should work. The best water is chlorine and fluoride free water. If you do not have kidney health issues or cognitive heart disease, then this treatment may provide a free solution to your problem. 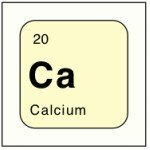 Histamine, a chemical in our body is released when there is a need to correct shortages of water, sodium chloride or potassium. The balance it helps our bodies attain is not a teeter totter, rather more like a balancing disk. Numerous factors account for balance in several different ways. When the body gets water to correct the lack of water that brought on the release of histamine, water acts as antihistamine. Likewise, histamine could be released as a result of a lack of sodium chloride. When we take sodium chloride in, it also acts like an antihistamine. An extreme example of an allergic reaction is anaphylaxis. Normally the first aid for any allergic reaction is to take an antihistamine. In anaphylaxis, antihistamines take to long and are not considered an option. Epinephrine in the form of an epi pen is the rescue medication of choice. There is only one major draw back with the Epi Pen. What if you don't have one. There are maybe only minutes and maybe seconds to save a life. Thousands die every year for the want of this lifesaving rescue medication. Lets suppose that someone started to experience their throat swelling shut. What would be the first thing to do? Call 911 and the EMT on arriving would give epinephrine. The sooner you get it, the better the chances of survival. But, no matter where you are, there is a good chance the EMT is at an minimum of 15 minutes away. Then on arriving, they need to assess you. Add another minute or two. If your breathing totally stopped, well, you would be dead in 3-5 minutes and a good 10 minutes before they arrived. Note: people that know they have this problem carry an epi pen with them. I did not know my body would react to wassabi and so when eat5ing it, my body went into full respiratory arrest. The thought process of "What should I do?" raced through my mind. As a vent trach nurse, this is my expertise. At about 40 seconds into a lack of breathing, remembering that Dr. B's books say that salt and water are antihistamines, I tried the salt. Nothing happened. Then I put a few drips of water in my mouth. There was enough opening that I made the stridor sound that someone recognized and came to help. But I was already on the way to recovery. Taking another pinch of salt and another few drops of water in my mouth opened my airway completely. As far as I am concerned, the water cures saved my life. I was just at the point of passing out when I started to breathe. While water and salt are the best antihistamines according to Dr. Batmanghelidj, taking too much water and not enough salt can result in the release histamine. This will cause the water to act as a diuretic. While there may be situations when this is good, most of the time, it is not the most desired result. 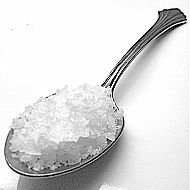 Too much salt intake can also cause excess histamine to be released. This can cause runny nose or congestion in the throat or lungs and even nose bleeds. Sometimes the eyes can indicate histamine release. You may even notice your eyes getting watery. If you are treating watery eyes, runny nose or congestion, simply put some salt on your tongue and see if the symptoms clear up immediately. Since most foods have potassium in them, if you have the above symptoms when eating food, simply add salt . If you are eating food and have even one of the listed symptoms then you need to take some salt to balance the potassium. Just put some salt on your tongue and if it stops the symptom, then you know if this will work for you. As an example, consider orange juice. OJ is loaded with potassium. However, without salt to balance it, our bodies do not and cannot use it. It is wasted. So if we are eating oranges or drinking orange juice and are deficient in sodium chloride, there will be a resulting histamine release to manage the problem. According to Dr. B, we need about 1/8 tsp of salt (3/4 gram) for every 8 oz (250 cc) of orange juice in order for the potassium to be used by the cells in our body. In the book, ABC of Asthma, Allergies and Lupus (page 149) Dr B Writes, "It is a good policy to add some salt to orange juice to balance the actions of sodium and potassium in maintaining the required volume of water inside and outside the cells." Put another way, to get the optimal benefit from orange juice, just add salt. In my youth when I moved to Colorado in a change of family also came a change in diet. My grandparents would put salt on watermelon, cantaloupe and honey dew melon. My family had European roots and this was a custom. Adding the salt not only accentuated the sweetness, it helped balance the potassium and sodium that went into my body. 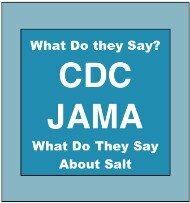 Is it any wonder that on increasing my salt intake and salting my fruits, my childhood asthma disappeared. 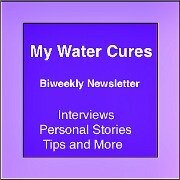 At WaterCures.org we have helped countless numbers of people end their asthma with this simple old European dietary change. Fluids while containing water, do not have the same effect as water in our bodies. A very famous commercial on a popular sports drink said it was absorbed faster than water. The reason they could make the claim was that the drink was fed through a tube that was inserted and went past the stomach to the jejunum. The reason it was absorbed faster than when water was inserted through the same tube was the electrolytes in the solution. When water passes through the stomach, some of the old salt is washed through with it the water. When we eat foods, a corresponding production of hydrochloric acid is produced in the stomach. When we drink juices laden with sugars and or pulp, our bodies read those liquids as foods. When foods enter the stomach so does hydrochloric acid. Water when consumed alone, does not cause the production of hydrochloric acid nor take the extra energy to be processed as with foods. For this reason, we propose that there should be consideration for a change in the current nursing diagnoses from Fluid and Electrolyte Imbalance, a more correct diagnoses would be Water and Electrolyte Imbalance. Coffee, tea, soda, sports drinks and energy drinks are not water and do not have the unique benefits that water provide for our bodies. But water alone is not enough. We also need salt. Both water and salt are essential. Consider: What is the most basic protocol given to people entering the hospital. They are given a saline IV. Not coffee, not a sport drink and not a fruit juice drink. They are given a saline IV. A One liter IV of saline 33.8 ounces of water and 9 grams (1 5/8th teaspoon) of salt. In the hospital, they don't give a sports drink or energy drink IV, but a saline IV. Depending on what is wrong, sometimes they will also put some extra minerals (lactated ringers), vitamins and sometimes sugar (dextrose). If you are experiencing a runny nose or have congestion in your throat or lungs. You can stop the need to clear your throat. All you need to do is take some salt. There is no need to swallow the salt. Simply let it stay on your tongue for about 60 seconds then rinse it off or put it into a cup or napkin. If on the other hand, the symptoms got worse with or appeared with the salt, you would need to take a glass of water and the symptoms should disappear. Because the human body is so complicated and we each have our own unique balance, we need to find what our particular need at the time is. For instance if I eat one piece of fruit a day and you do not, then my salt needs will be different than yours. Imagine the complication of the various nuance difference in all of our diets. Everyone is different and our salt and water needs are uniquely different as well. What we present here is only a baseline to start your quest to better heath with. Commercial antihistamines may provide help for the symptoms but at what cost? Here are the side effects of over the counter antihistamines. Headache: (this is the result of contraction of the blood vessels, called vasoconstriction). 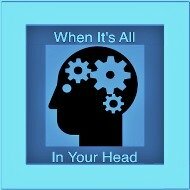 When the blood vessels in the brain become constricted, a headache can result. Hypertension: If you have or are at risk of high blood pressure, this may increase blood pressure. Difficulty in Focusing and Concentration: They can cause fuzzy thinking, drowsiness, blurry vision and dizziness. Upset Stomach: Stomach cramps, upset stomach and acidity. Anticholinergic antihistamines block the action of the neurotransmitter acetylcholine. This can result in the slowing of normal functions of some body systems, including urination. Additionally, blurred vision, dizziness and constipation can occur. A reduction in saliva causing dry mouth may also result. Rarely antihistamine side effects can include irregular heartbeat, nausea, vomiting, tremors, seizures and decrease in visual acuity in people who have glaucoma. 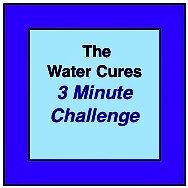 The Water Cures protocol is a viable option for how to manage the hydration of the body. Plain water on its own can wash out the extra salt held in the body. Without taking enough salt, the water pulls the salt that is there out, causing an imbalance. This imbalance is what results in disease. The body needs both water and salt to stay healthy. Consider this logically. 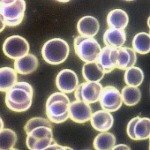 Why do you get an IV in the hospital and at the same time doctors are saying we eat too much salt/sodium in our diet. Why do we not hear that we need to drink more water rather than eating less salt. 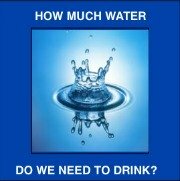 We are not drinking enough plain water anymore. We have turned to commercial beverages. Likewise consider how animals in the wild drink plain water and do not experience many of the diseases that afflict humans like obesity and cancer. Further consider how sometimes dogs and cats lick humans' skin. This is to get extra salt, the salt they know they need but is lacking in their diet. Put some salt in their water bowl and you will see big changes in your animal.